July 27, 6:30pm, Peacham Knitters — Peacham Knitters and Puzzlers— Bring your knitting or other handwork for an evening of creativity and chatting. There is also a jigsaw puzzle available for those who prefer this activity. July 31, 10am-noon, Coffee Hour – join us for a cup of coffee or tea, a sweet or two and good conversation. Suitable for all ages! August 3, 7:00 pm, Board Meeting — Meetings are open to the public. 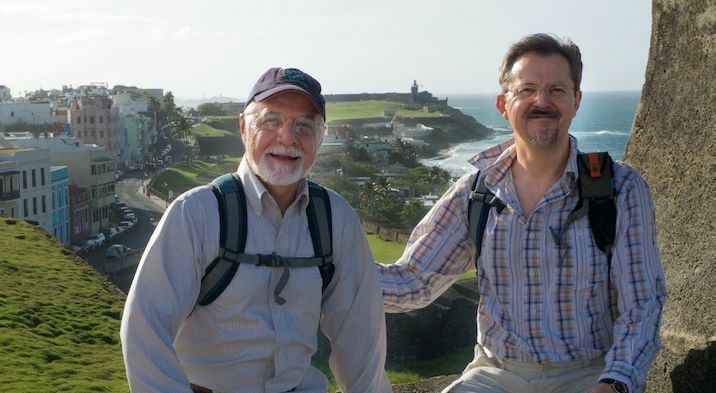 August 6, 7:00 pm, Summer Series – Purposeful Travel – Morris McCain an d Charlie Byron present On the Road with Road Scholar in which they describe the attractions and pitfalls of being shown the world with Road Scholar instead of exploring it on your own. August 7, 10am-noon, Coffee Hour – join us for a cup of coffee or tea, a sweet or two and good conversation. Suitable for all ages! August 7, 12 noon, Friends of Peacham Library – Friends plan great events in support of the library. August 8, 10:00 am, Story Time –Stories and activities for the young at heart. August 9, 4:00 pm, Author Talk with Stuart O’Brien – Nonagenarian and Peacham resident, Stuart O’Brien will discuss his book, Wildwood, a World War II love story. Books are available at the library for purchase, with all proceeds benefitting the library.